Archaeologists discovered the oldest bread known to man this week. The Arabic flatbread was baked 14,400 years ago in a stone oven in northeastern Jordan. Excavation teams from the University of Copenhagen, Cambridge University and University College London made the discovery while “studying carbonised food remains at a hunter-gatherer settlement known as Shubayqa 1,” the University wrote. What makes this discovery particularly fascinating is the fact that it predates agriculture by 4,000 years. “We now know that bread-like products were produced long before the development of farming,” University of Copenhagen archaeobotanist Amaia Arranz Otaegui, the lead author of the study, said. “The next step is to evaluate if the production and consumption of bread influenced the emergence of plant cultivation and domestication at all,” Otaegui added. 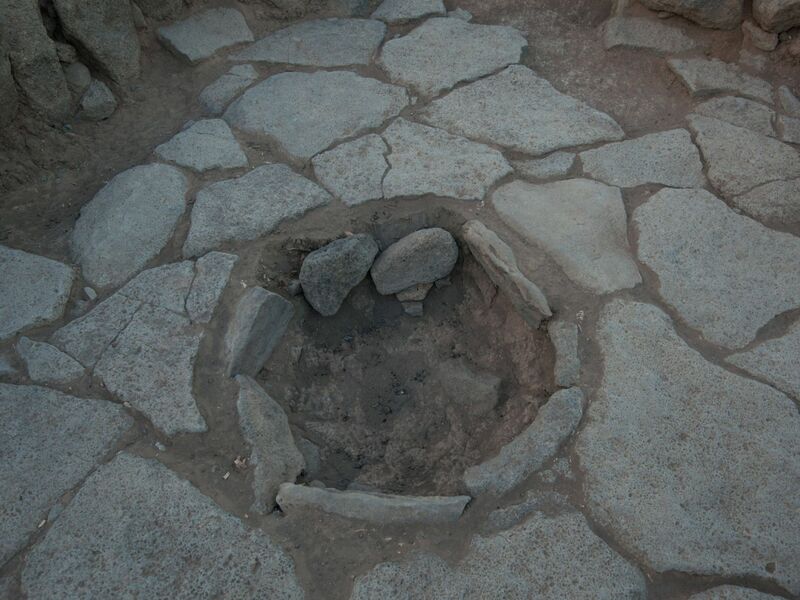 Archaeologists said that using wild corn to bake bread might have encouraged people of the time to find more less-consuming ways to grow corn themselves. “Natufian hunter-gatherers are of particular interest to us because they lived through a transitional period when people became more sedentary and their diet began to change,” archaeologist Tobias Richter, who led the excavations at Shubayqa 1, said. It was around 12,500 to 9,500 BCE that the Stone Age Natufian culture existed in the Levant. “Flint sickle blades as well as ground stone tools found at Natufian sites in the Levant have long led archaeologists to suspect that people had begun to exploit plants in a different and perhaps more effective way,” Richter said. “But the flat bread found at Shubayqa 1 is the earliest evidence of bread making recovered so far, and it shows that baking was invented before we had plant cultivation,” the researcher continued. Excavations in the aforementioned area were carried out between 2010 and 2015, and were funded by the Independent Research Fund Denmark with permission from the Department of Antiquities of Jordan. A farmer struck gold when he unearthed a fossilized jaw bone in the central Yozgat province in Turkey. The remains are thought to belong to an 8-million-year-old mammoth. Hasan Senyurt, Director of Yozgat Museum, told the press that this discovery is a first-of-its-kind in this province. “It is known that Yozgat is rich in fossil beds. However, a study on fossils just started in the last three years. Until now, no skeleton of an ancient elephant or mammoth has been found [in Yozgat], Senyurt said. The Director noted that the jaw bone found by the farmer, Alper Dusunceli, was completely lithified now. The farmer said that he handed over the fossil to the museum because it looked like a tooth. “We will have the opportunity to have this piece of tooth examined by professors of Ankara University and Ahi Evran University,” Senyurt added. Mammoth fossils have been discovered in Turkey in the past. A 2.5-million-year-old mammoth tooth was found in the Eregli district of the central Konya province in 2016, while a 2-million-year-old mammoth fossil was unearthed in 2010 in a lignite mine in the Ladik district of the Black Sea province of Samsun.